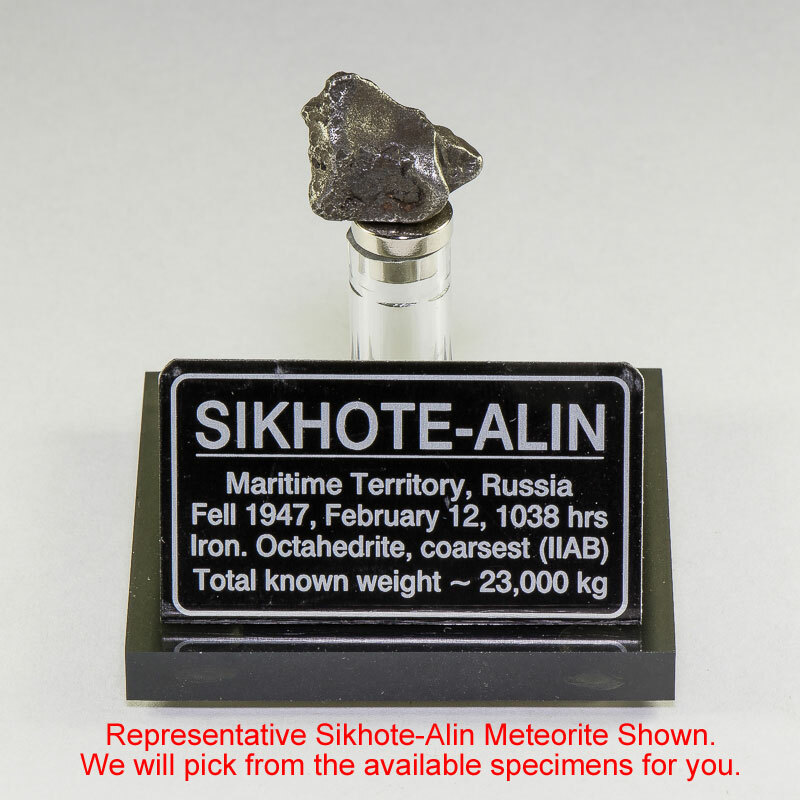 Sikhote-Alin Meteorite Display AB2-SA45 - The Meteorite Exchange, Inc.
Our Sikhote-Alin Meteorite Display Stand and Label makes the perfect out of this world gift. We choose the 4 to 5 gram Sikhote-Alin meteorite for you so all you have to do is click that Add To Cart button. 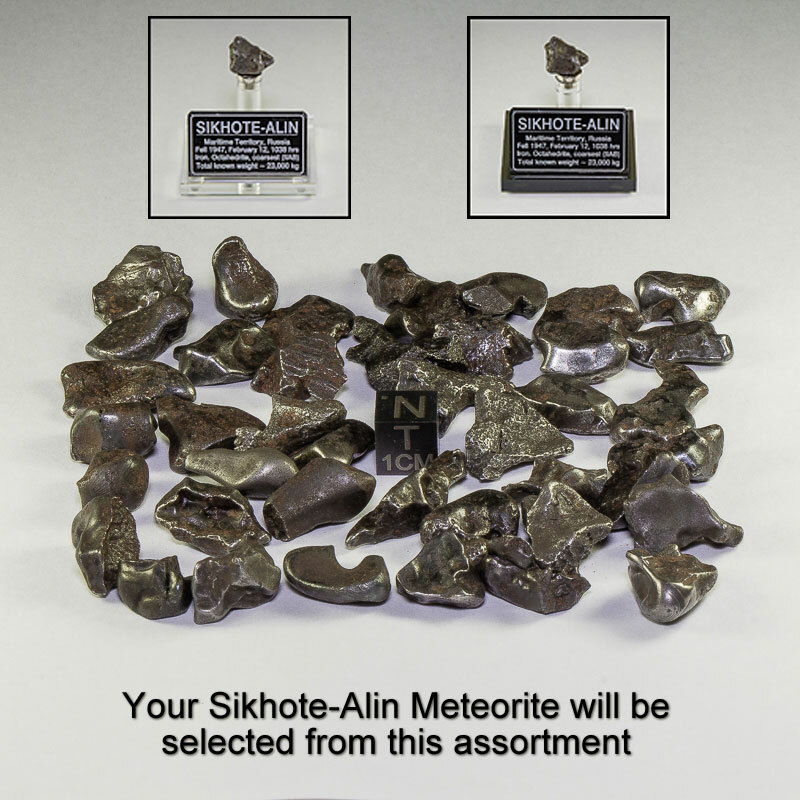 If you would like to select your own Sikhote-Alin meteorite please use the following link Sikhote-Alin Meteorites.